This is fascinating stuff. On the whole my preferences are with the majority of your testers. However, I wonder what effect pitch may have on those preferences. 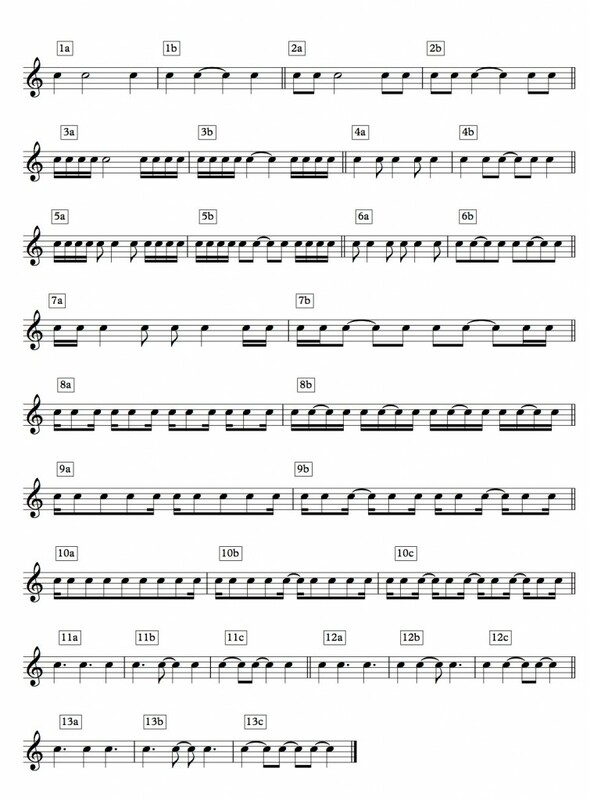 Example 10a for instance would be much more readable as, say, a descending scale. Reading that number of notes all braced together at the same pitch it’s easy to lose count, hence preferences for smaller groupings. Maybe? Include me in on any future quizzes. This was fun to read, and and interesting idea to study. 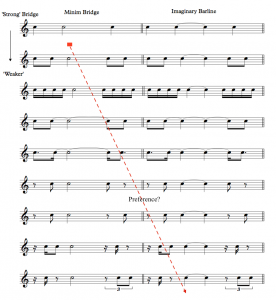 As I have all of my students label each note or rest value (in terms of its relationship to the beat) as a frequent (and dreaded) part of sight reading, I prefer all barred notations for sight reading exercises, and I said this on your original FB post. Reading this makes me wonder how different answers would be if approached from a teacher’s POV than a musician practicing on his or her own. For example, I personally prefer reading music without bar lines when in context, and with rests and pitch. 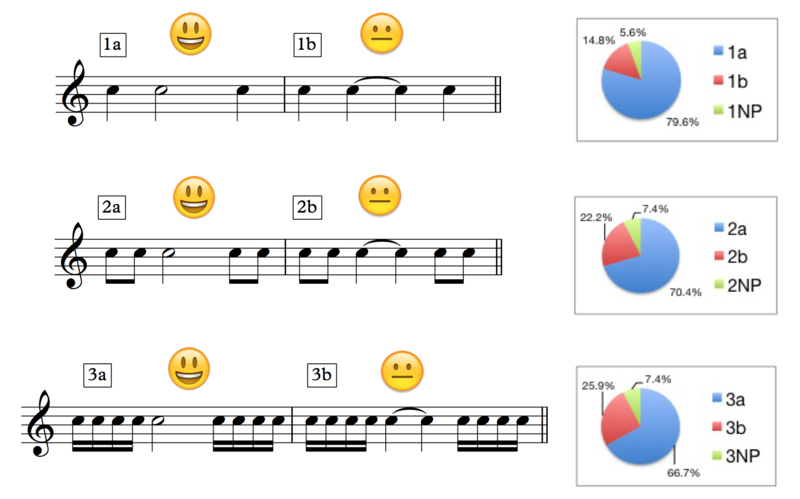 However, if I am using an exercise such as the ones you have above, it’s usually in the context of solidifying an understanding of rhythm in relation to the beat. 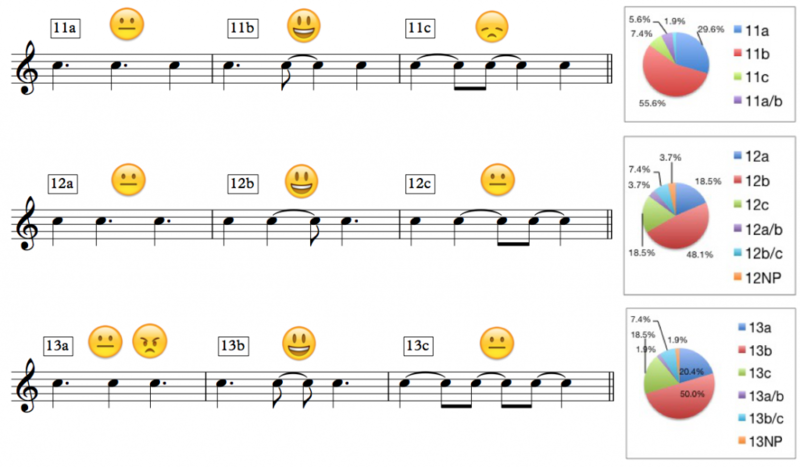 I have a whole series of sight reading exercises which have rhythmically identical measures with varying syncopations, the first measure notated with bars and the second without. 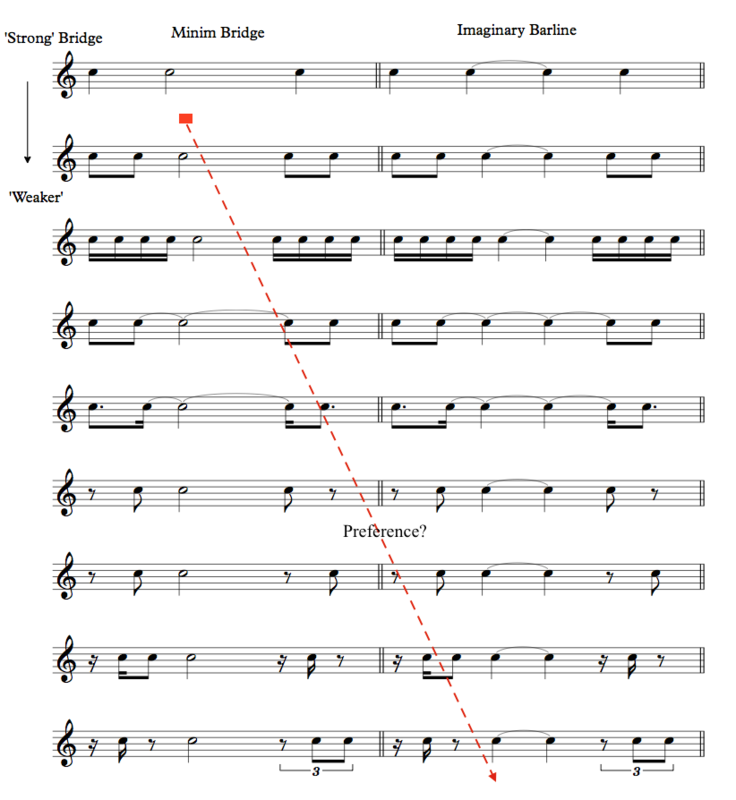 …..and as an American, I also enjoy the note value terminology! I’m so used to whole, half, quarter, eighth, I really had to think while reading this! Love that! Thanks for examining this, and making me really think about how I read and how I teach. Thanks Cynthia, very intelligent ideas. The pedagogical implications from a larger study could be quite significant. Off for a cup of tea now with some quavers.